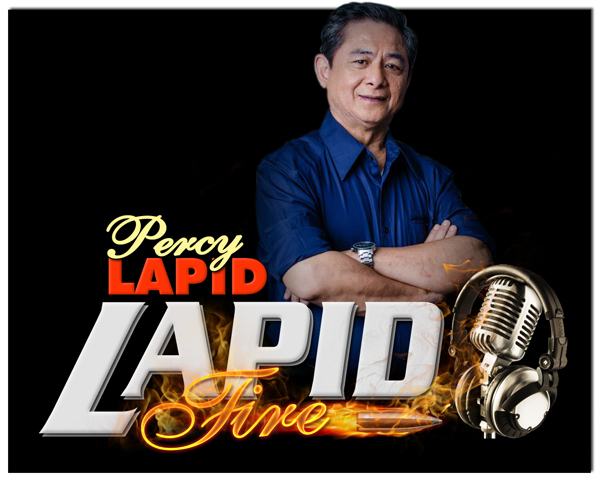 WATCHING local teleseryes and going online are the top two entertainment forms for many Filipinos. Now you can get the best of both worlds as Globe At Home and ABS-CBN bring you the new WiFi TV Pack! This jam-packed bundle comes with the Globe At Home Prepaid WiFi device and the ABS-CBN TV Plus Box. With the WiFi TV Pack, families can watch the latest Kapamilya shows clearly, then surf and catch up anytime. Find out what else you can do with the Globe At Home WiFi TV Pack! With the ABS-CBN TV Plus, you can watch the latest primetime shows with better picture quality compared to analog transmission. Aside from the free TV channels, customers can also get access to exclusive channels like DZMM Teleradyo, Cinemo, YEY, and the Knowledge Channel. Never miss out on your favorite shows again! With the Globe at Home Prepaid WiFi device, you can go online and catch highlights of previous episodes. You can also watch trailers and teasers to upcoming teleseryes and Star Cinema movies! Enjoy these on your own terms, as the Globe At Home Prepaid WiFi device does not require installation or monthly fees. Globe at Home Prepaid WiFi boasts 2x faster speed, 2x stronger signal, and 2x wider coverage than pocket WiFi. Staying up to date on the latest in local showbiz has never been easier! With a reliable connection, stay updated on what your favorite stars are up to by checking out their Facebook, Twitter, and Instagram accounts. Get two entertainment devices in one bundle! Complete your living room setup with the new Globe At Home WiFi TV Pack, now available for a special price of P2,999. 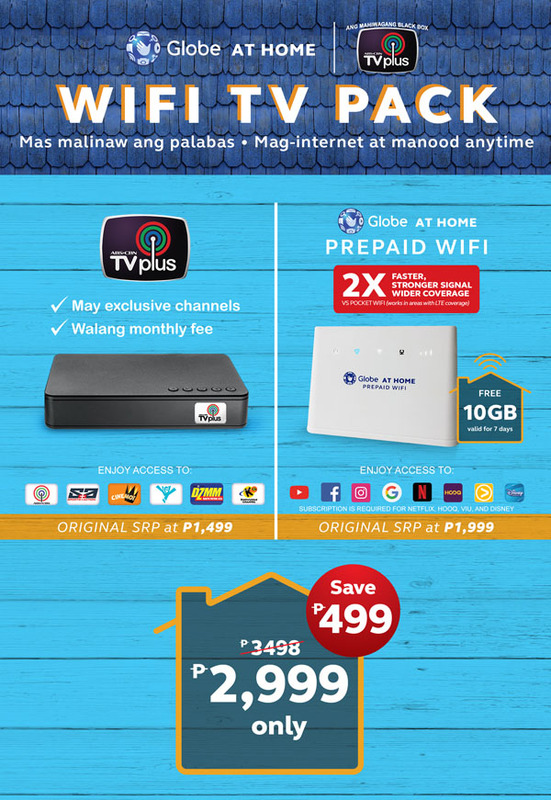 To learn more about Globe at Home WiFi TV Pack, visit the website at broadband.globe.com.ph/prepaid-wifi and order it from the Globe Online Shop at shop.globe.com.ph/products/broadband/wifi-tv-pack. You can also call the Globe hotline at (02) 730-1010 or visit any Globe Store.